Have you noticed there’s a ‘tribal’ buzz happening out there on the Social Networking sites lately? Put simply, having your own Social Media Tribe = A massive amount of free traffic and eyeballs on your content. Unless you’ve been online for a while or are an SEO expert, you would have noticed it’s not easy to get your content out there. You know the feeling… You’ve created your masterpiece, installed the latest cool Social Media blog plugins to make it easy for people to syndicate and a week later your little tweetmeme button painfully sits at the grand total of 1. Thanks Mum! Your blog is like ghost town and the few visitors you’re getting are probably being scared away by the lack of ‘social proof’. Last year after dedicating every spare moment into squeezing in just about every course I could on Social Media Marketing, there was still something critical missing…. If you listened really closely, you could just about hear the tumbleweeds rolling down my blog. Not good! ENTER: Social Media Tribes & Blogging Alliance To The Rescue! Ok so at the end of last year, I hooked up with 5 Ghost Busters (aka Social Media leaders), who banished those tumbleweeds, scared off the ghosts and replaced them with a raving bunch of cheerleaders. Having your own Social Media Tribe is like a mini mastermind group of like minded people who all syndicate each others content. So instead of promoting your own stuff (which you want to keep to a minimum anyway), your Tribe does all the syndicating! First you want to find 4 or 5 other people who are at a similar stage to you in implementing Social Media. You then set up a ‘Tribe Power Hour’ on skype once a week. So once you’ve teamed up with a mini mastermind group who each have a few thousand followers on Twitter and a few hundred friends/fans on Facebook, your content is suddenly being sent out to tens of thousands of people. Did I mention this is all in the space of an hour? Now that’s leverage! Guess what happens after this? EVERYTHING suddenly comes alive and your traffic goes through the roof! It’s like the Law of Reciprocity on steroids! Of course you still need to be producing content and actively engaging in conversation but no matter what industry you’re in, this is a hugely powerful strategy. I only learned about the concept 8 weeks ago when I partnered up with 5 guys who had created (in my mind) the ‘perfect’ Social Media Tribe. Why perfect? Because each one of them had a specialized area of knowledge on different aspects of the Social Networking sites. There were some cutting edge strategies and funky plugins that I never even knew existed that really took things to the next level. More about some of these ‘stand out from the crowd’ strategies in my next post. How about you, do you have a Tribe of cheerleaders on the Social sites yet? Have you thought about using a content syndication ‘power hour’ for maximum leverage? If you have any questions or stories to share, I’d love to hear from you. Right on the mark Matt! You are an amazingly fast learner, as I have seen some of the awesome stuff you’re doing on the Social sites. I was also thinking the other day how much like a party it is except it’s never ending. I could not agree more. The tribe concept has gotten me in touch with people I never even thought possible when I was working alone. This has been a great experience for me and you can be sure that i will continue to work with tribes from here on out. .-= Jose H. Caraballo´s last blog ..My Official Apology to Stephen Covey =-. Thats the best part Jose, no more ‘Lone Ranger’! There is nothing more frustrating than going it alone with nowhere to turn when you get stuck. What I love about creating a Tribe, is each person brings a different skill set to the table. So when you are stuck, you have a whole Tribe to shout out to. .-= Robin Lynn Brooks´s last blog ..Whatâ€™s All This Buzz about Social Media & Tribes? =-. Great post Michaele! I love your writing style! You have definitely stumbled on a goldmine with the Tribe Syndication. I am brand new to blogging. I really had just barely gotten my blog live when I came across the Tribe Mastermind Intensive and I am amazed by how much traffic and retweet and comment love I have been getting on my blog already. I am really looking forward to reading more of your blogs. I can tell you will quickly become one of my favorite bloggers! Hey thanks Melissa, aren’t you sweet! I agree with you on the amazing traffic that Tribe Mastery brings. The really cool part is when you start getting comments from complete strangers. That is a day to celebrate! It is amazing to me how much more we gain out of building tribes to mastermind and grow in relationships with. .-= Kellie Frazier´s last blog ..Have You Wondered What Your Government Is Doing To Help Haiti? =-. I agree about the powerful relationships Kellie. I have to say on every course I’ve ever done that the relationships I’ve built through masterminding, have been worth the money alone. Wonderful article! Thank you. This will help me craft something special for my tribe on twitter. Over 4k now and growing steady. I wonder about my blog and if it is targeted correctly. Seems to me to be scattered and unfocused. Any thoughts? .-= Spencer´s last blog ..Success in 5 Steps â€“ Part IV =-. I had a quick look at your blog and could definitely help with some suggestions. If you’d like some help, look me up on Skype ( ozorganics ). Cheerleaders is a awesome analogy! Win-Win environments make everyone happy! It has been an incredibly powerful observation for all of us that it really is no longer “how much money can someone throw at marketing to get ahead” but rather “how many other people can you help get ahead”! I believe it was Zig Ziglar that said You can have anything you want, as long as you help lots of others get what THEY want. The lone ranger with a loaded wallet can no longer blast their way to the top and stay there. Finally the REST of us, with big hearts and pompoms can cheer each other across the finish line! .-= Kimberly Castleberry´s last blog ..The FTC Changes & You: Protecting Your Business (Part 1) =-. I agree its how many people we can help get ahead. I think if more people woke up each day with the attitude of “who can I help today”, they would be surprised at how quickly things would take off. Great post. I love the visual affect of having a Raving Tribe Of Cheerleaders! I love that. The best part is it’s true. Having a tribe of people who will swing by your blog on a regular basis is a powerful force… and it’s free. This concept is really catching fire and will be the next wave for all online marketing. I value the friendship and support you bring to the tribe and community. Yeah catching on fire is almost an understatement! Imagine where the Tribe concept will be in another 6 months. Well, as usual, my kids are one up on me. I should’ve taken note a long time ago. Truly, this was an amazing presentation of tribe power. Thanks for putting me on track Michaele. .-= David Merrill´s last blog ..From The Ground Up: The Foundation of Your Online Marketing Business â€“ Part ONE =-. Aww sorry my little pic scared you! .-= Tone Floreal´s last blog ..About Tone Floreal =-. Love the cheerleader analogy MichaelÃ©! I only recently learned about tribes too but it just makes so much sense and of course best of all it works! Great to be connecting with another Ozzie superstar! .-= Marcus Baker´s last blog ..Business Personal Development â€“ Create Space To Receive =-. Spot on, the Tribe concept works like dynamite! Hi Michaele! How exciting it is to know that social media can be totally leveraged through tribe support. 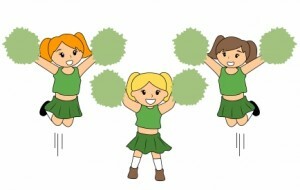 I enjoyed your post AND love your cheerleading picture – go team! This is a great post you put together! What a brilliant idea. This is great to stir up a buzz in the social media arena. I have to say that the whole Tribe concept, completely changed the results I was seeing in Social Media. thanks for sharing this post on tribes there really is so much value in tribe syndication and building relationships with other like minded people. .-= Jeremy CreagerÂ´s last blog ..Youâ€™re Invited To The Integrity Challenge =-. I totally agree about how powerful Tribe Masterminds are. I honestly wonder how I would be progressing if I hadn’t come across such an amazing concept. Lets keep spreading the word so we can help others! Another great post! I’m loving the collaboration, having a TEAM is absolutely key, even when working independently from home or online. Connecting with others is also an amazing opportunity to LEARN! Thanks for sharing your great ideas and resources! .-= Justine SimardÂ´s last blog ..Choosing a Mentor for your Online Business. =-. You nailed it! A team is absolutely key no matter where you’re working from. Having a mastermind group was a big turning point for me, as I’m sure it has been for many others. This post has lot of wisdom in it. I couldn’t agree more as the law of reciprocity was something I totally didn’t get when I started out. There is nothing more powerful in social media and blogging than promoting other people. Plus it builds relationships super fast! Hi Michaele, I’m a bit late to the party, but I love your blog and your idea of a tribe of cheerleaders for each others blogs. I am fairly new to blogging and off to a good start. My issue is that my target audience is everyday people who are trying to catch up in the world of personal technology. Your analogy of the tumbleweeds was very familiar to me because I am usually the lone Twitterer for my blog posts. So, how do I find other bloggers who are at the same stage as I am? Thanks for your helpful blog! I’m a little behind on getting back to comments at the moment but I appreciate you taking the time to leave your questions. I had a look at your blog and you have some great content!